Do you know your Spatalla from your Paranomus? Or if you saw an Aulax cancellata, would you know it from a growth of Pinus pinaster? Happily these are not anatomical abnormalities. Apart from Pinus pinaster they are members of the family Proteaceae. Yes, Proteas. But they don’t look like it. Rod’s Trail is a familiar old friend, but it never fails to come up with something different and interesting. Easily accessible Kogelberg Sandstone Fynbos, the jewel of the Cape Floristic Region, there is always something happening on the slopes of Voorberg. No two months are ever the same. 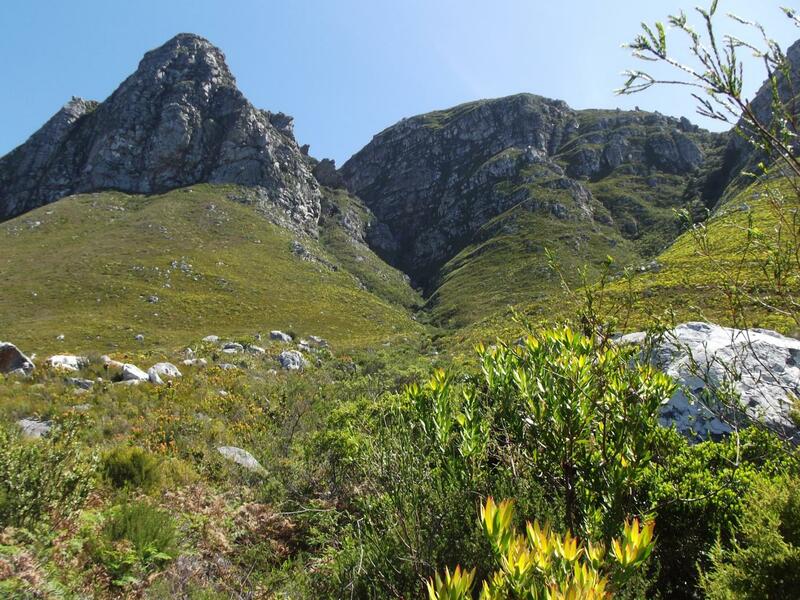 So we will walk it from the Harold Porter National Botanical Gardens to Betty’s Bay’s ‘Central Business District’. Slowly. Meet in the parking area of the Harold Porter National Botanical Gardens at 09h00 on Saturday, 19th May 2018. Bring drinks and snacks, a warm top and a friend.